Designed for a flexible fit, the Original Tall Adjustable Boot mirrors the iconic Original Tall with the addition of an expandable gusset at the back. 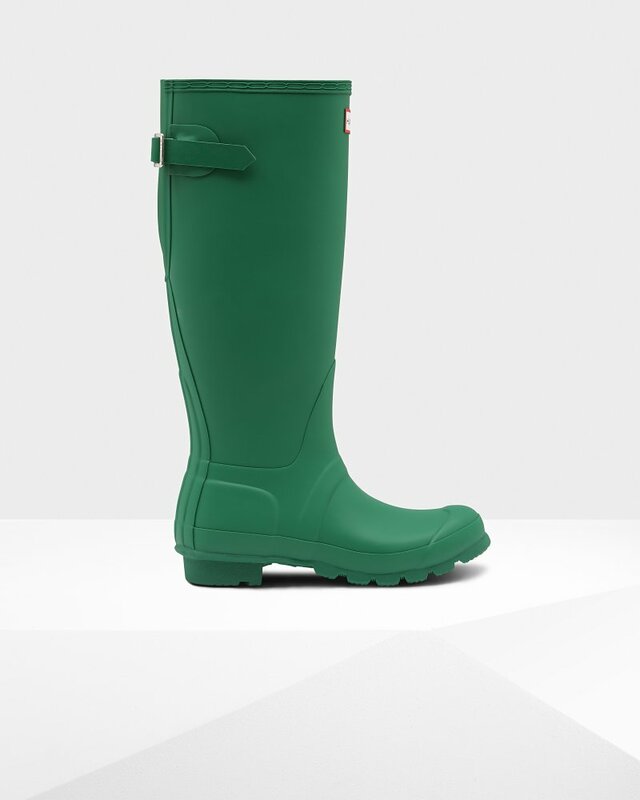 Perfect for a wider calf, these matte rain boots offer ease of movement and adjust from the traditional tailored Hunter fit to a more relaxed shape when the gusset is fully extended. Handcrafted from natural rubber, the Original Adjustable boot is fully waterproof with a comfortable polyester lining and the signature Hunter Original tread.